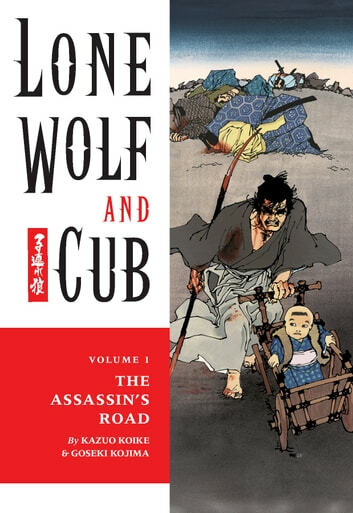 Dark Horse Comics is proud to present one of the authentic landmarks in graphic fiction, Lone Wolf and Cub, to be published in its entirety for the first time in America. 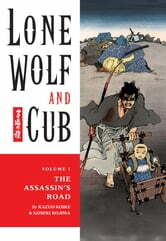 An epic samurai adventure of staggering proportions — over 7000 pages — Lone Wolf and Cub (Kozure Okami in Japan) is acknowledged worldwide for the brilliant writing of series creator Kazuo Koike and the groundbreaking cinematic visuals of the late Goseki Kojima, creating unforgettable imagery of stark beauty, kinetic fury, and visceral thematic power that influenced a generation of visual storytellers both in Japan and in the West. Don't miss this monumental monthly release, twenty-eight volumes, with each collection approximately 300 pages!